At Mehta Automotive, we are guided by the above definitions of quality. We deeply believe that the difference between average and great companies is the quality of the products, production processes and systems. We always strive to improve the above at all times to ensure that the final product supplied to customers is as per the specifications. Quality Assurance team is involved with New Product Development team right from start of new product development. This helps in making proper system for ensuring zero-defect parts. QA team, with involvement of, other departments make the necessary SOPs and Work Instructions. QA team is also involved in training of work personnel to ensure that right people are put on the job. 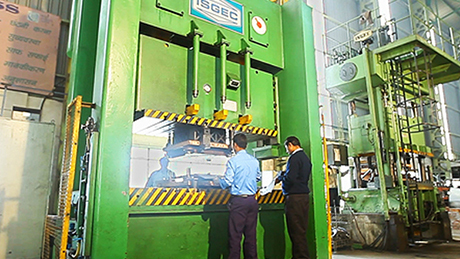 Quality Control is done at Incoming stage to ensure that the input material is ok as per requirement. All material is kept in designated areas to avoid any mix-up. In-process quality control ensures that the right product is made everytime and in case of any deviation, immediate and permanent action is taken to make sure that non-conformance is not repeated. Pre-Dispatch inspection is done after final painting and material offered for packing is fit for use at customer end. Special firewall stations are put for any newly developed parts for extra care for first 3 months of production. Supplier development team is focussed on improving the systems and processes at Supplier’s end. This helps in getting consistent quality material and parts for in-house production and assemblies. 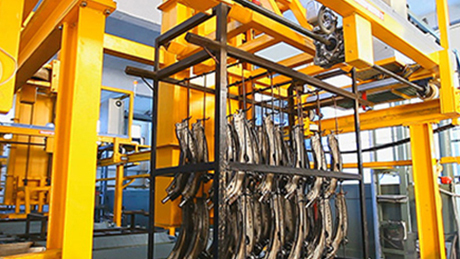 We are committed to manufacture and supply automotive components to achieve customer satisfaction. We strive to continually improve the quality of our products, processes and quality management system.